The Siddhas have taken extraordinary care to keep this tradition as pure and intact as possible through the ages. This is one of our purposes, i.e. to preserve the spirit of purity of this tradition thus avoiding that it might reach the mankind in a distorted condition. For this purpose we count on the valuable help of great and highly qualified Indian scholars, namely: Prof. Dr. T.N. Ganapathy and Dr. Geetha Anand, who are translating the siddha texts from Tamil to English, being one of their main criteria the strict respect for the sense and purity of the verses. We also count on translators from English to Spanish who keep up the same criterion concerning the purity of the translations of the different texts (Clotilde Reina Jurado). This training is much more than the study and learning of a series of topics, hence being its objective the inner transformation. To attain the genuine self transformation, the Siddhas say that in the siddha tradition things are not taught but “caught”. The training shows the path to follow for this transformation. Thus, to participate in it participants are required to have both a craving for transformation and a commitment to practice. Besides these two aspects, the Siddhas mention the concept of Arrupadai, which means to show the path to the sincere seekers. Therefore the training is open to all those people willing to teach others at a future time. The methodology to be applied is based on the knowledge developed by the Siddha yogis concerning the Universe and also the Human Being, mainly referred to the experience relative to the enormous potential that the human being has at the biological, energetic and spiritual levels. The yoga practiced by the Siddha yogis is the Vasi Yoga and they employed up to 12 different names to designate this millenary technique, namely Vasi Yoga, Kundalini Yoga, Kriya Yoga, Tantra Yoga, Laya Yoga, Siddha Yoga, Siva Yoga, Bija Yoga, Navakona Valai Yoga, Agni Yoga, Mauna Yoga, Aumkara Yoga. Pranayama and the dimension of the Life-energy. Sanyama and the dimension of the consciousness. Ascent and descent of the consciousness. Different ways of yoga: the dimension of the knowledge. Compare to the Kundalini Yoga. Longevity, rejuvenation and senility, the dimension of the self-healing. Anatomy and physiology – the biological dimension. Different bodies according to Ramalinga Swamigal. Transpersonal Psychology – the psychological dimension. Microcosmic creation according to Thirumoolar. The philosophy of the Siddha yogis and their books: Thirumoolar, Boganathar, Sivavakkiyar, etc. Techniques and supports to attain the Samadhi. What is the Jiva Mukti? Foundation: this is a physical preparatory stage intended to provide the body with elasticity and to effect its energetic unblocking. It can be done in different ways, such as stretching exercises, sun salutation, dances, Tibetan exercises, etc. Laterality: it consists in centering our consciousness simultaneously on different parts of the body while in movement. The objective is to attain a functional equilibrium between our brain hemispheres. Kapalabhati and the three main bandhas and the three main mudras. Meditation with mantra (Aum) and pranayama. Meditation with mantra and pranayama. Ascent-descent. Meditation to enter the non-duality. My pursuit began at an early age, when I was sixteen years old, in Mexico City. I encountered the spirituality for the first time through the Yoga practice at the first Yoga Institute established in that city. From that moment on, I met my guru Juan Víctor Mejías, the then director of the Universal Great Brotherhood. I lived in an ashram in Venezuela and my guru sent me to Spain in 1973 with the mission to establish some centers of Yoga. My quest has always been constant and continuous, teaching Yoga and establishing several centers throughout Spain. The goal of my spiritual pursuit has always been the achievement or realization of the Samadhi or Jiva Mukti, and the tradition of the Tamil Siddhas shows the right and proven path to reach it. 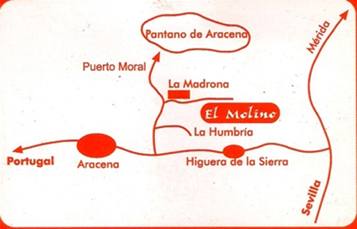 I established El Molino in the year 1993 as a school for personal inner growth and for many years I worked there with Leonard Orr, founder of Rebirthing. I also worked on several paths: Shamanism, Buddhism, the Kabala, some training in Africa. I was trained on Holotropic breathwork by Stanislav Grof. I did some works with Melquisedec and was trained in Tantra Yoga by Ronald Fusch. The above works have only a supplementary character as I have always been devoted to the training of Yoga teachers, because the main support for my spiritual practice has been and is the Yoga. My work has been invariably focused on the threefold goal of making Yoga known, training Yoga teachers and practicing Yoga as the axis… of my life. As of 1999 I began to contact the tradition of the Siddha yogis and it was from that point on when my life gave a dramatic twist as far as my spiritual search is concerned; from that moment on I have devoted myself to the investigation and the practice of this tradition. Nowadays my mission is to divulge this millenary tradition that has remained hidden through thousands of years. For this purpose I have founded the first ashram where it can be practiced and taught. It is my belief that this tradition is the most comprehensive and profound one for the full spiritual evolution of the human being. The training has a duration of three years, nine weekends a year as well as a ten days retreat in summer. And a three days long silence retreat. The total duration amounts 650 hours. The training is one of residential type and it is imparted at the Ashram Vettaveli. The price is 160€/weekend, including the training itself, accommodation and meals. Also some didactic material and the utilization of the open spaces to enjoy nature, take a walk and meditate are all included.